Birman is the most photogenic and attractive looking cat breed. 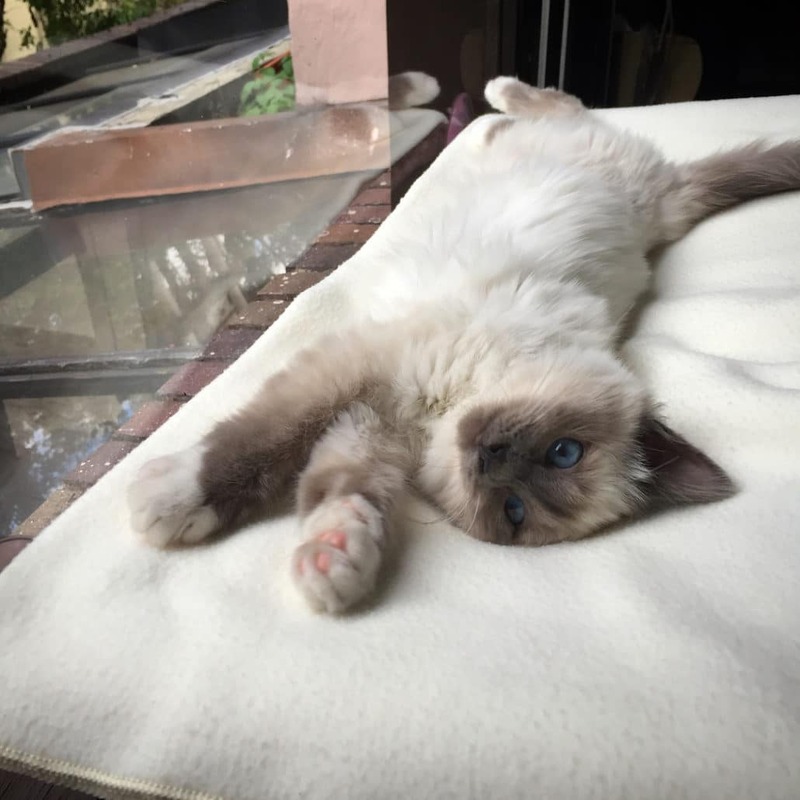 This semi-longhaired, pointed, and attractive deep blue eyes cat breed can take your breath away just by their appearance. It is called as the sacred cat of Burma and should not be confused with the Burmese breed, though the origins of these cats are not very clear. The Birman breed was created by the Burmese goddess according to Buddhists. The color of the Birman cat is very similar to the Siamese cats with exceptional pure white feet. They have dark color markings on their face, legs, tail and ears, which are known as points. 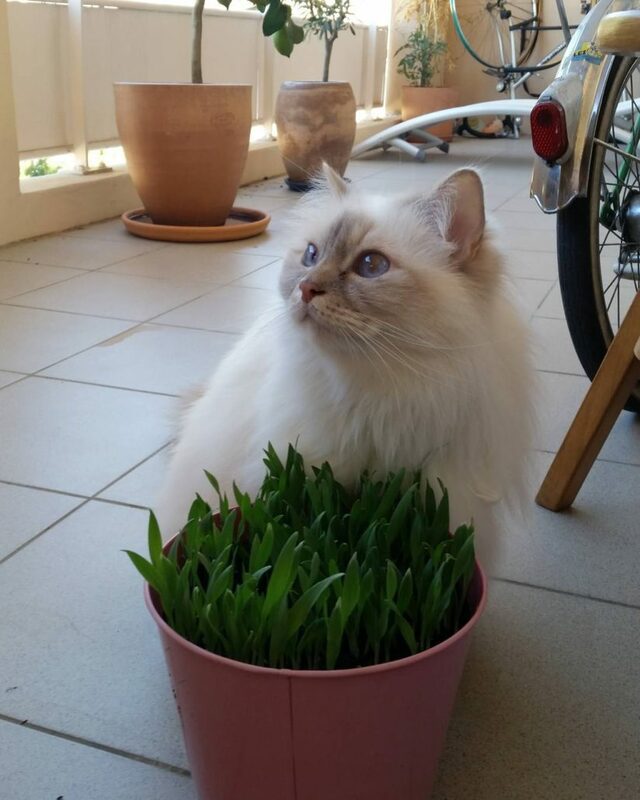 Like all the color point cat breeds the Birmans are born white and get their color as they mature. The Roman shaped nose gives this cat a very lovely appearance. The countries that have nurtured these cats have passed on their national traits to this mysterious cat breed. The French have passed on their flair, the Gallic their affectionate nature, the English their self-respect, the Germans their common sense and patience, the Australians have imparted their love for adventure, and the Americans their ingenuity. All these combined together results in a Birman cat. Known as the sacred cat of Burma, the origins of the Birman cat is not clear. 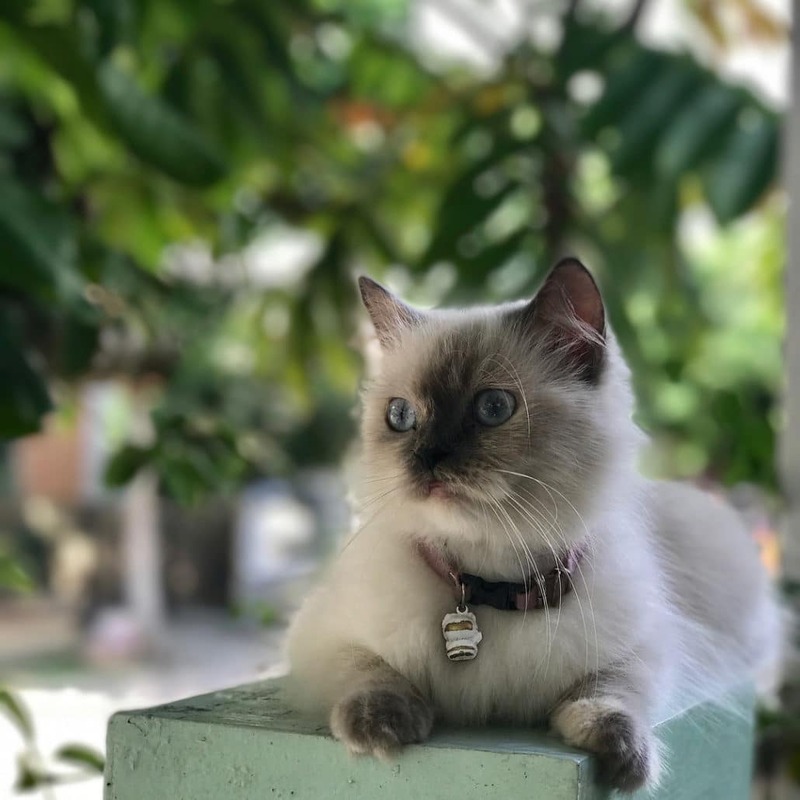 The Birmans have an interesting history that says that the Kittah priests were the first ones who raised the Birmans in a temple in Burma. According to the stories a golden eyed white cat stood guard over his holy master who was dying and transformed into a cat that had a brown head, brown legs and tail. The coat became cream color along with a golden glow from his masters golden goddess. The master passed on his soul to the cat after his death. The cat’s paws and part of the body where he sat on his master’s chest remained pure white as a sign of their master’s purity. As the cat looked up at the golden goddess his golden eyes turned blue, which was similar to the goddess. This is one of the few legendary stories about Birmans. The story may be legendary, but the reality is that the Birmans have originated in Burma and developed by the Burmese priests. When these priests were forced to flee Burma, the French and the English military assisted them. As a sense of gratitude two Birmans were given as gifts to France and the female cat from the pair was pregnant. After 1900 the breed has continued to flourish in Europe, and has slowly spread to other countries of the world. 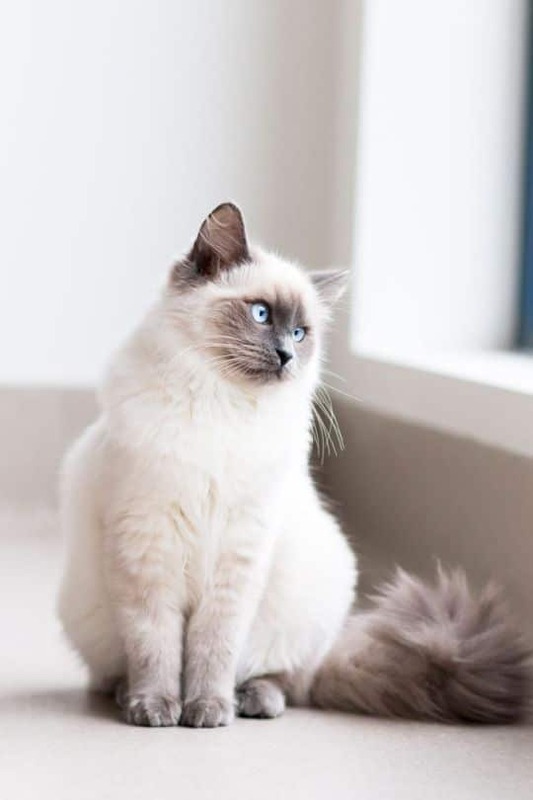 The Birmans first arrived in the United States in the year 1959 and got registered with the CFA in the year 1967 and most of the Birmans in America can be traced to England, Australia, Germany and France. 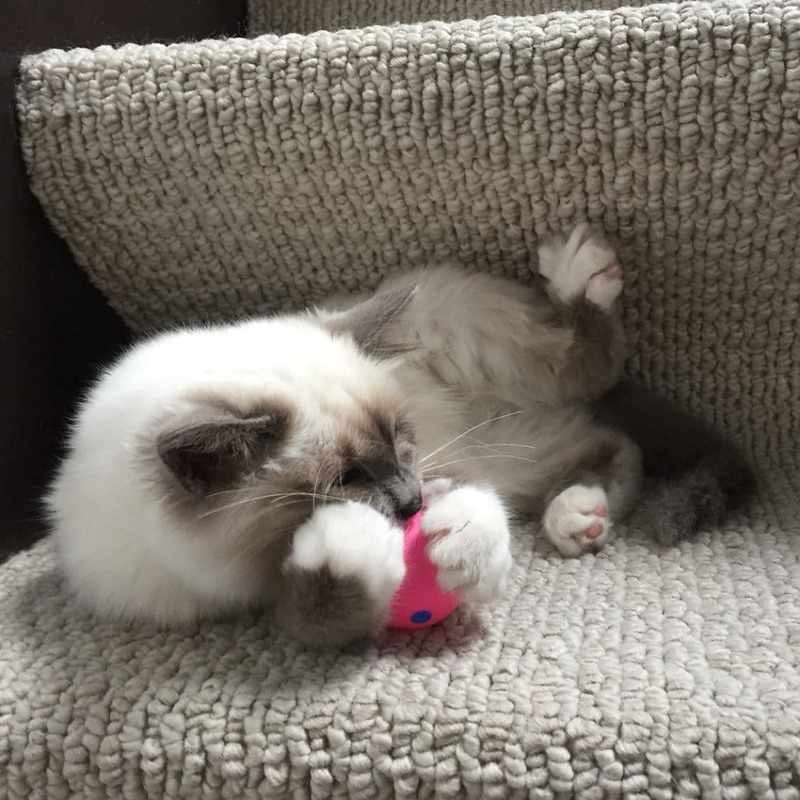 The Birman breed has gained reputation, recognition and loved worldwide thus retaining one of the top ten positions in the favorite cat list. Birman is a medium to large sized long haired pointed cat with white laces and gloves. All four feet of this cat is white in color as if it is wearing some gloves and the back feet have laces that extend halfway up the back leg. These cat breed have single coat that is silky, long and soft to touch. The thickness of their coat will vary according to the weather. The coat is so soft that they do not mat and any stray loose hair can be removed through brushing, which can be done once a week. 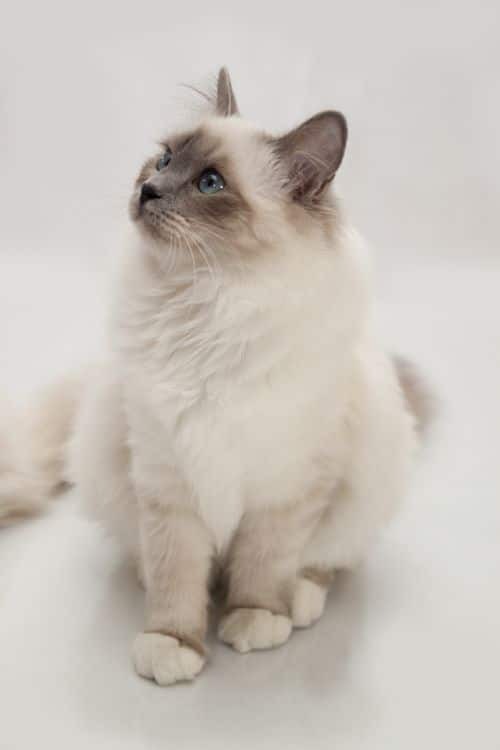 The Birmans have a noticeable roman nose and the chin has good amount of depth. The ears are wide at the base as they are quite tall with good amount of width between them. These cats have round, medium to large sized eyes with good gap between them. They have neither long nor short tail that is best suitable for their body. The body of these cats is long and sturdy and the legs are well proportioned to the body. Birmans come in all the pointed color options with color to match everyone’s taste and liking. The colors include lilac, chocolate, red, cream, blue, tortie and seal. All these colors can be either solid pattern or lynx pattern. 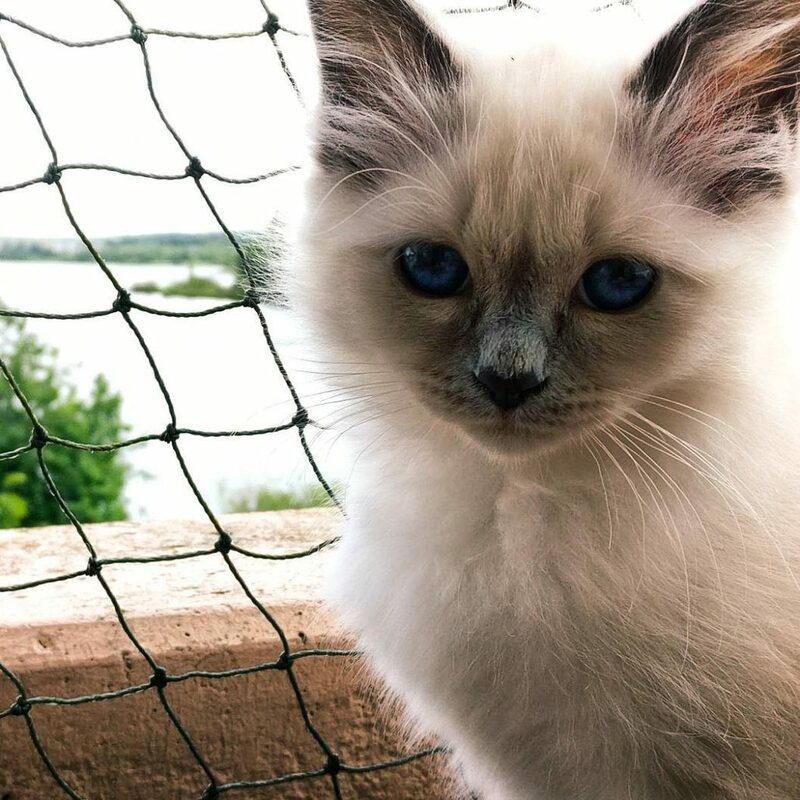 Birmans have a cool and affectionate personality. They are lazy sometimes and appear casual and docile. The Birmans are not very vocal, but will make their presence felt if they feel left out. They are soft spoken and very helpful and love to read the newspaper, fold clothes, and even work on the computer. 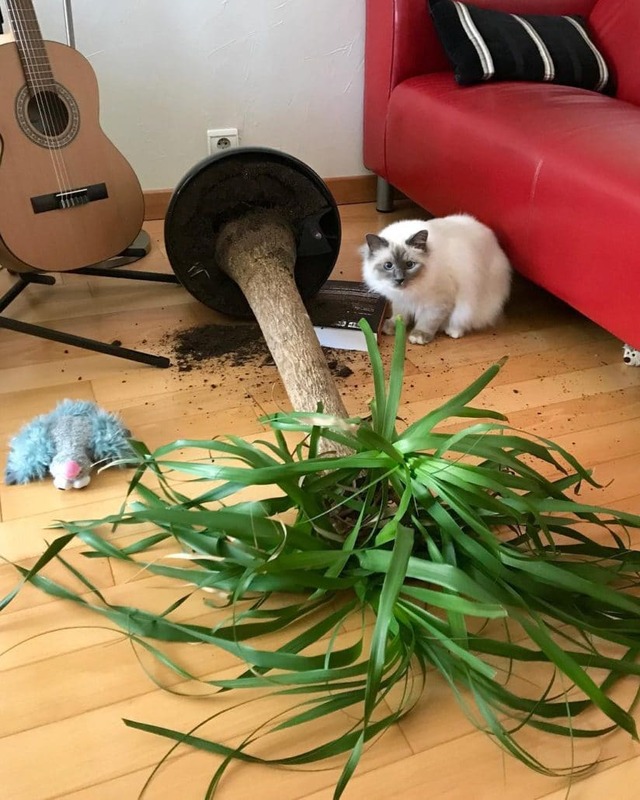 You will never have a feeling of being left alone with these cats around. 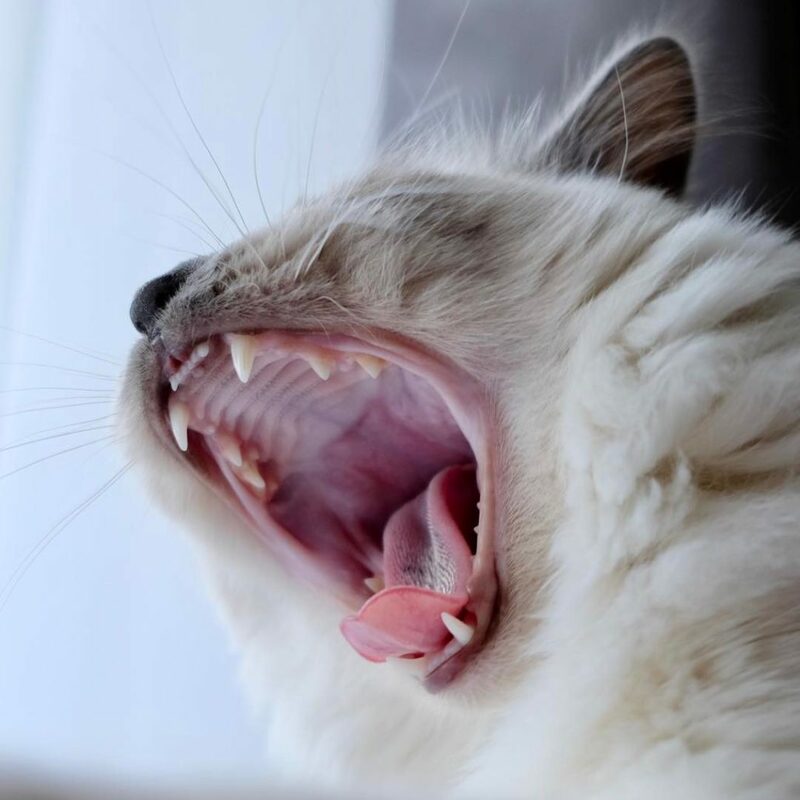 Birmans are sociable, gentle and form good companion cats. They are good with both people and animals. Since these cats are not very active they are suitable for households that lead a busy life or for households that have multiple pets. The average life expectancy of Birmans is fourteen years and these cats can weigh about 4-7 kgs. They are a robust breed with no major health issues although like every long haired cats these animals are prone to hairballs. They are suitable for apartments and houses that are big or small in size. They are easy to care for due to their gentle personality and with the regular grooming habit from the owner you can eliminate loose hair. They have a tendency to grow obese hence there is a necessity to take care of their daily diet. Birmans are good with friends, children and other pets. They have to tendency to remain shy with strangers initially, but gradually they tend to become friendly with new people. They are even tempered; patient and tolerant cat breed a good feature for domestic cats. These cats will enjoy and participate in all your daily chores. 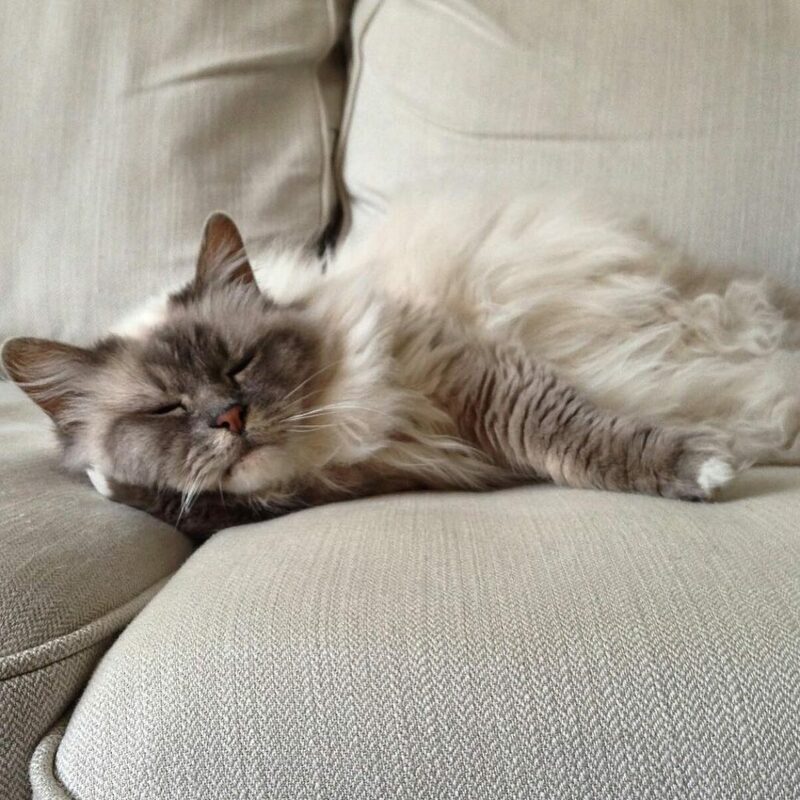 The Birmans are compatible with other animals in the house and can get along well with other cats and even dogs. They are well adjusting cat breeds and make an excellent family cat with children. These cat breeds are suitable for anyone who wants to keep a docile companion cat. 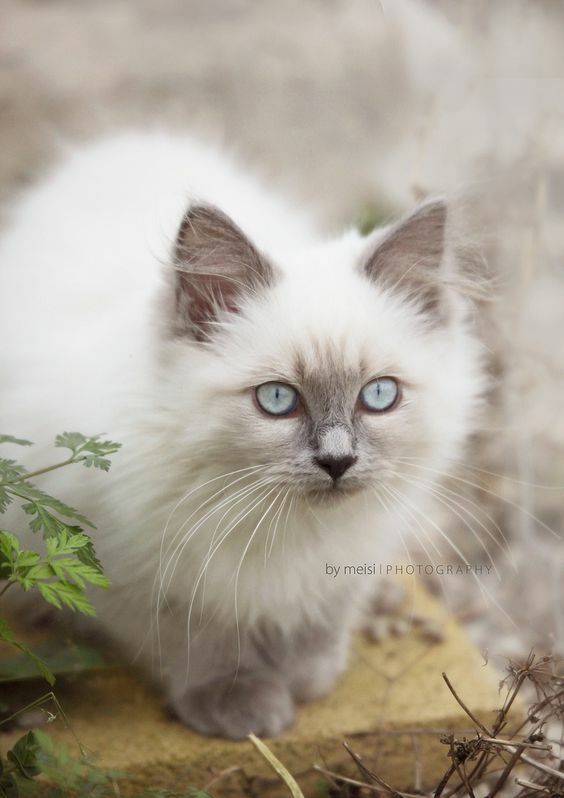 Birmans can be your friend, companion, confidant and a perfect caring pet for anyone who loves cats.